CAMBRIDGE, Mass.- Researchers have developed a new approach to detecting unrecognized cases of celiac disease in the community, revealing this immune disorder is far more common than previously recognized. In a study of more than 2500 adults, the researchers combined traditional antibody testing (measuring the immune response to gluten) with an assessment of specific genetic risk markers. They found that more than half of the subjects had genetic risk factors for developing celiac disease. This newly developed testing strategy also showed that celiac disease potentially affected at least one in 60 women and one in 80 men. The research is published online today in the journal BMC Medicine. One of the researchers, Dr. Jason Tye-Din from the Walter and Eliza Hall Institute, who also leads the Celiac Clinic at The Royal Melbourne Hospital, said the study indicated that the combination of a genetic test with a panel of antibody tests should increase the accuracy of diagnosis, decrease overall medical costs by reducing invasive diagnostic tests, and avoid medically unnecessary use of a gluten-free diet. "Currently, bowel biopsies are recommended for anybody with positive antibody tests," Dr. Tye-Din said. "In this study, the inclusion of a simple genetic test helped identify a substantial number of people whose antibody tests were falsely positive and who did not actually require a bowel biopsy to test for the possibility of celiac disease." Celiac disease is caused by an inappropriate immune response to dietary gluten. 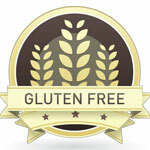 Gluten can be found in wheat, rye, barley and oats. When gluten is consumed, it can cause a wide range of complaints from chronic tiredness, iron deficiency, osteoporosis, itchy rash, and headaches to various digestive symptoms. Celiac disease damages the lining of the small intestine and can lead to significant medical complications such as autoimmune disease, infertility, liver failure and cancer. Celiac disease usually develops in childhood and is life-long, but early diagnosis and treatment can reduce the risk of adverse health complications. Conservative estimates using an older antibody test had previously suggested the number of Australians with celiac disease as no more than one in 100. Findings in this study now suggest that the prevalence of celiac disease in the U.S. population, which is estimated to be one in 133 on the basis of antibody testing alone, may need to be re-evaluated. Dr. Tye-Din in collaboration with Dr. Bob Anderson, chief scientific officer at ImmusanT, worked with Barwon Health, Deakin University, Healthscope Pathology and the University of Queensland Diamantina Institute to develop and trial the new diagnostic approach. "Accurate and timely diagnosis of celiac disease is important for the health of patients who are managing the disease. Making a diagnosis based on a blood test alone or starting a gluten-free diet without a confirmatory test is insufficient and can impose an unnecessary and very restrictive exclusion diet for the rest of a person's life," said Dr. Anderson. "Given the life-long impact of a diagnosis of celiac disease, ensuring a definitive diagnosis is crucial. This study provides a strategy to improve the diagnosis of celiac disease in the community by combining the benefits of antibody and genetic testing before proceeding to biopsy." The research was supported by INOVA Diagnostics Inc; ImmusanT, which acquired the assets of Nexpep Pty. Ltd; the National Health and Medical Research Council; the Victorian Health Promotion Foundation; the Geelong Region Medical Research Foundation; and the Victorian government.